Thinking is something you watch the mind do. People spend numerous hours listening to inner thoughts that often oppose themselves while navigating through life. At times people welcome positive thoughts that encourage them to overcome life’s challenges and shun discouraging thoughts that have the potential to fuel fear. What if both thoughts good or bad are irrelevant? Have you ever considered the possibility that you are not the thoughts you think? 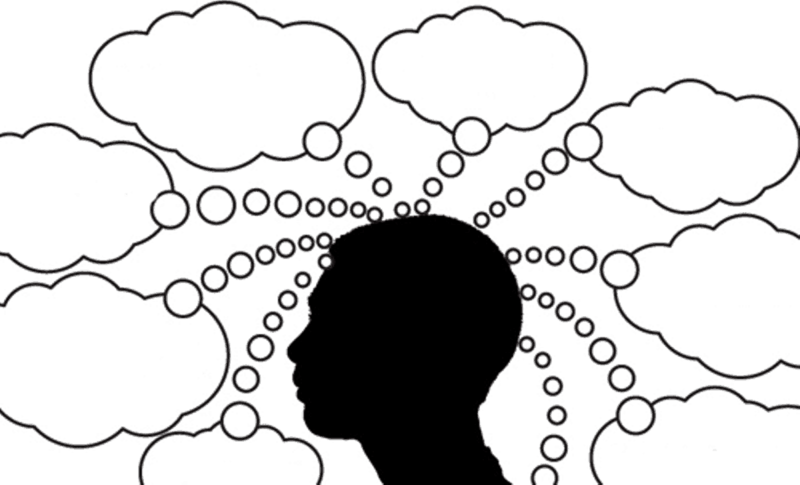 Could it be that the thoughts swirling in your mind are not yours at all but the thoughts we often hear in our heads are conversations of our ego? It might seem to be a stretch but have you ever considered that the ongoing conversation in your mind is an indication of how far we have strayed away from our true nature that exists without suffering? What if the incessant thoughts of an active mind is not necessarily an indication of a healthy mind but a mind that is suffering? Singer suggests that we are merely observers of the thoughts and learning to separate the observer from the thoughts is the beginning of true enlightenment. What do you think? Thank you for reading. I would truly enjoy reading about your truth on the topic. Please share your authentic truth. Enlighten us.